Today I am pleased to welcome Kate and Mary to Picture Book Builders! Kate, let’s begin with you. How did you get the idea for this adorable book? One evening, my nephew couldn’t find the toy car he wanted to snuggle with when it was time for bed.TODDLER EMERGENCY! We sang as we searched for his lost car. Later, my husband and I were at dinner when I revved right out my seat and blurted, “TWINKLE, TWINKLE, LITTLE CAR!” The roadblock? I only had a title, not a story. Tell us about the journey your story made from the early stages to the final draft. Oh, what a year-long journey! I drove that title for miles and miles (at least 18 different drafts) before finally – FINALLY! – realizing the story needed to be about a car, not a kid looking for a lost car.I revised until the manuscript offered opportunities for Little Car to be on every spread of the book and included his four-wheeled friends, too. At last, I had hope of cruising with an illustrator as talented and skilled as Mary because I learned the importance of the visual story. Lucky me! Lucky for me, too, because Beach Lane and my critique partners kept my engine running on the trip. There is no way I could or would want to be on this road alone. Mary, what was it about Kate’s story that made you think, “I have to illustrate this!”? There was SO much fun stuff to illustrate! Each stanza was a unique location with new and different vehicles. This is a huge deal for an illustrator. But mostly I fell in love with Little Car! S/he is spunky and sweet and —-it’s a bit odd to say this about a car—-huggable. I’m drawn to character first. Add a gentle sweet story and I’m in. I love the palette you chose for Twinkle, Twinkle, Little Car. I was also quite taken by the way you showed the night’s sky gradually growing darker and darker as the book progressed. What a fun detail! Tell us about your process for this book. For starters, when I consider a manuscript, I read it with a pencil in my hand. As I read, I draw. If I don’t end up with loads of doodles, I’m probably not the right person for the job. Every story deserves an illustrator that loves the story and is bursting with ideas. 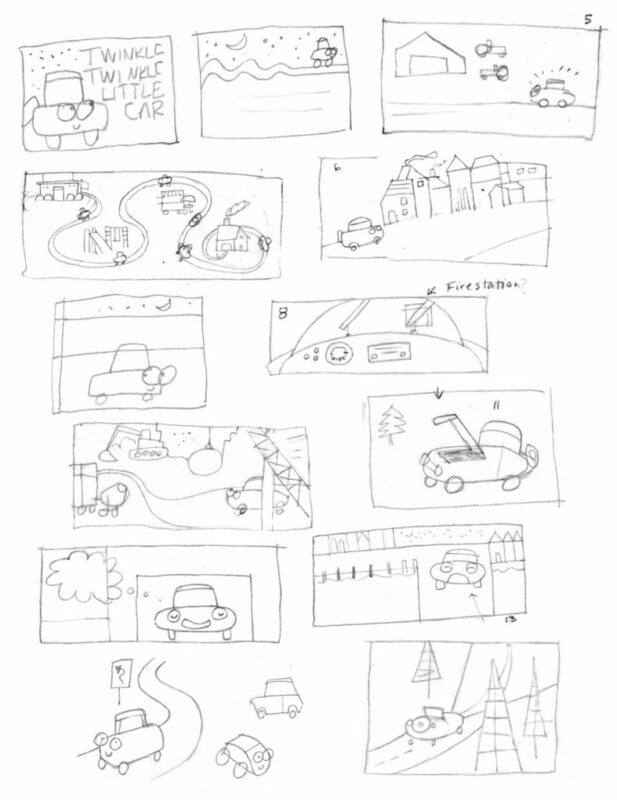 These are just a few of the scribbles I made while reading and re-reading Twinkle, Twinkle, Little Car. For me, color creates the vibe of the book. So finding the right combination of colors is essential to create the right emotional experience. I choose a palette before I design spreads. I knew our star, Little Car, was red. Then I wondered, what color would make a darkening sky feel cozy, not threatening? What colors compliment and support that sky color? Do they feel true to the mood? Lastly, I think my work is strongest when I have a connection to the setting. Kate gave me a wonderful gift in that regard. In my personal work I make tiny, almost abstract, landscapes. The Twinkle setting is an extension of that work. We writers and illustrators can always use some help in revving up our creative engines. Would you each please share a tip that has worked for you? KATE: Many a title, concept, character, and couplet have come to me when I make time to put it in park, and do nothing. Taking my puppy for a quiet spin around the neighborhood always fills my creative tank, too. MARY: Bold graphics are my thing so I go out hunting for them in the real world. I live in a large city with a fabulous street art culture. Bingo! I also love exploring our colorful ethnic communities for inspiration. I have a special photo album on my phone to collect snapshots of color combinations, shapes and typography, anything that catches my eye. Scoop time, ladies. What’s next? KATE: I’m going to Hurry Up! and celebrate another Beach Lane Books/Simon & Schuster picture book, illustrated by Christopher Silas Neal, about slowing down to enjoy life. Before I hit the road, I’d love to give Tammi a twinkly, heartfelt BEEP-BEEP VROOM. 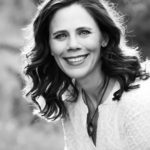 Thanks for being a five-star friend AND manuscript mechanic!I’d also love to offer a picture book critique (up to 500 words). Please post a comment if you’d like to enter to win a manuscript tune-up from me. MARY: Currently I’m excited to be working on some novelty book ideas. It’s an genre I love yet have not yet had a chance to work in. Kate loves walking her puppy, watching her sons play sports, and convincing her husband to share a cheese plate instead of wings. She also loves to write for kids. 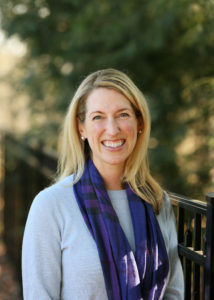 Kate is a certified teacher, a reading specialist, and the Assistant Regional Advisor for Western Pennsylvania SCBWI. Her books include You’re My Boo (Simon & Schuster, 2016), Snuggle Bunny (Scholastic, 2016), Twinkle, Twinkle, Little Car (Simon & Schuster, 2018), and Hurry Up! (Simon & Schuster, 2020). Learn more at katedopirak.com and follow her on Twitter @katedopirak. 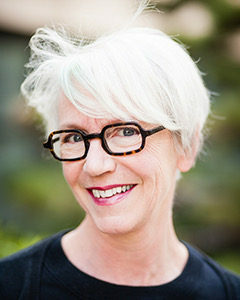 Mary Peterson is the illustrator of many books for children, including Dig In!, Wooby and Peep and her own Snail Has Lunch. She lives in Los Angeles. Put your pedal to the metal and comment! 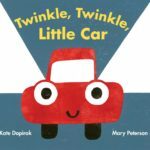 One lucky duck commenter will receive a signed-by-Kate copy of Twinkle, Twinkle, Little Car AND a picture book manuscript critique. Congratulations to Claire Noland! 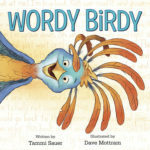 She won a copy of Wordy Birdy. Kate Dopirak, Mary Peterson, Tammi Sauer. Bookmark. I love the connection of the real-life car issue triggering a title that finally…finally led to a story. I also love puns. The sketches were fun and the color palette insights were a nice view into the art process. I remember hearing this story at the round table critique at WPA conference in 2015! Can’t wait to hold the BOOK form of this, Kate! Congrats!! What an energetic story! I could benefit from a manuscript tune-up. Please put my name in the garage. This book looks fabulous! And I loved seeing Mary’s sketches. Thanks, Tammi, and congrats to Kate and Mary! So interesting to hear from both author and the illustrator and this book is a must for some special little ones I know! Kate, thanks for your perseverance in writing a story worthy of this perfect title. And Mary, I can’t wait to see the world and characters you created. I appreciate Little Car being female, too! Adorable!!! I love the whole package. Great interview from both collaborators. Congratulations to both of you! Thank you for sharing how this book came to be. I am still learning about the author/illustrator relationship and struggle with what I “see” when I write and what others see/don’t see when they read my work. This book is adorable and clever. It was nice to hear that the illustrator might actually turn down a manuscript if it doesn’t resonate with him. This being said I think the pairing was perfect. Read this for bedtime the other night. It was a hit! What an adorable, why-didn’t-I-think-of-that idea! Can’t wait to get my hands on it (and HURRY UP!). We ordered this for our library last week and can’t wait to receive it. What a wonderful combination of classic rhyme and popular theme! Can’t wait to take a ride in this book. This is going on my “must read” list today! Thank you for sharing your process, Kate and Mary. Ahhhh, I love it already! What a fun book! Thanks for sharing the inside scoop on its road to publication. Motoring to my bookstore to find this one right away! Beep-beep! I have a story that could use a tune-up from a talented mechanic for sure. Please enter me for the critique! Thank you! Thanks Kate and Mary for sharing your amazing book. The style is inviting and I loved the color studies! What a joy. I know a couple little put-puts who I think would really enjoy this story. Great idea for year’s Easter baskets. Such a fun concept…thanks for sharing! Great interview! This book might be one of those few that could work for a special needs child in my life. He can’t read, but his ear loves rhyme and meter, and he likes to play with cars. He is older than the typical PB reader/listener and it’s tough to find the right book(s) for him. Thanks for this offering. Kate, I remember you mentioning this book at the Rutgers conference last October and I’ve been excited to read it ever since. 🙂 What a fun idea! Thanks to both of you for sharing more about the process with us. Such a cute idea! Can’t wait to read. This book sounds wonderful. I can’t wait to read it! This sounds like a great book! I’ll be on the look-out for it! Enjoyed hearing about the creative process for TWINKLE, TWINKLE, LITTLE CAR from both author and illustrator. Thanks, Tammi! Congratulations Kate and Mary!! This book is adorable! It’s one of my comps for a twist on a very different classic rhyme. Congratulations to both author and illustrator! Such a darling bedtime story! Hi. I love hearing how the book started with only a title. I’ve got lots of those! So glad Beach Lane has brought this little gem of a rhyming book to market. Please put my name in the hat for a manuscript tune up. I sure would feel lucky if I could tow one of my manuscripts into your shop. Thanks for sharing your book’s journey, ladies. Looks like a fun ride…um, read. What a delightful book! Thank you for a great interview with Mary and Kate. I look forward to reading this sweet story. 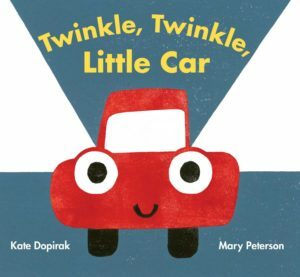 I appreciate the opportunity to be considered as a *lucky duck* to participate in the drawing for a signed copy of TWINKLE, TWINKLE, LITTLE CAR and a PB manuscript critique. How beautiful to be inspired by your interview! Thank you for sharing your journey, making this story such a fantastic read!Congrats to both of you! Your story shows the endless possibilities of any prime idea! I’ve reserved this book from the library. Can’t wait to read it and thanks for sharing the story behind the story! Congratulations on this darling book! I think I need “Twinkle, Twinkle Little Car” for my garage! ❤️Love this title and interview! Thanks for the interview. This book looks adorable and it was great to hear from the author’s and illustrator’s perspective about how the book came to be. Thank you for this fantastic interview. A wonderful look into the creation of what looks like a really cute story. Great interview! I love the title and concept & colors. Congrats! What a joy (ride)! Can’t wait to check it out! Love hearing from both the author and illustrator of a book. Congrats on a fun and clever book! Preschoolers are going to love this and I can’t wait to read it to them! Thanks–love the interview! Story and art look fabulous–great that you included sketches and a glimpse into how Mary begins the process! This looks adorable! My kids would love this. Thank you for the great post. Of love learning about how a book came to be. Thanks again. Already on order. Can’t wait to study both the text and graphics to see how they evolved from start to finish. Thanks. I love the story and the colorful illustrations. Thanks for sharing your writing and illustrating tips! I can already see my nephew tttttt-racing his finger along the road on “Hit your headlights. Hang a right…” !!! At school I can hear an Amelia Bedelia conversation starting around “hit” your headlights and “hang” a right. How fun. 🙂 Thanks for sharing! What a great interview, Tammi, Kate and Mary! So interesting to hear how – after so many drafts – you decided to change the main character in order to discover the real story. A great lesson for all us writers! Twinkle Twinkle Little Car will fast become a new bedtime favorite. Congratulations! Great interview. Thank you for the insights into TWINKLE TWINKLE LITTLE CAR’s creation, Kate and Mary. I’m looking forward to reading it. Love hearing about the many drafts (gives me hope!) and seeing the sketches. Can’t wait to read this one.